Greetings, Dear One, yes, it is I, Mother Mary. Mary Magdalene is here as well. What I wish to speak about today is the spark of light in which you were all created from the Great Creator. It truly is a sad day for as many of you know, the violence that took place in your country and the Unite rally in Virginia caused death and heartache. You see, Dearest Ones, you are all united simply by the spark that you are, from the spark of God. And in this essence of your spark, Dearest Ones, there is truly no separation between souls, between spirits, between essence of all life forms. And so, know Dearest Ones, that as each of you stand in your truth, that your heart now begins to open to the love that you are. Please take a deep inhaling breath and begin to breathe in the spark of the love of who you are. You see, Dearest Ones, you are the culmination of all of your ancestors, you are the culmination of all of life, you are the culmination of the galactic federation and the family of light. Everything is connected and everyone is one frequency, one essence, one light form. And yet, the density and the separation and the fear that humans have created amongst themselves is indeed causing much separation, fear, hatred and violence upon your planet. We know, Dearest Children, that we have spoken about this many many times before, but we want you to understand the power of one, the power of this energy in which you are all created. It is why we come, week after week after week, bringing these messages to the family of light. It is why these messages are being transmitted all over the world, so that all souls can receive the message and the understanding that we are here to help assist you in your evolution and to bring you peace, and to create harmony on this planet. This is a time of great importance for all souls to reexamine their purpose, their mission, and their willingness to serve as the Living Light of God. Living on this Earth is not and never was intended to be difficult. Living on this Earth was to be lived in joy, and peace, and harmony, and balance with all life forms. And yet, Dearest Ones, the fear that one has against another, the separation that one feels against one’s self, feeling separate, feeling alone, feeling frightened, feeling fearful of your fellow brother and sister, and even your animal kingdom, Dearest Ones, know that the energy that created all life is one frequency. And what one does to one, affects another, and another, and another. 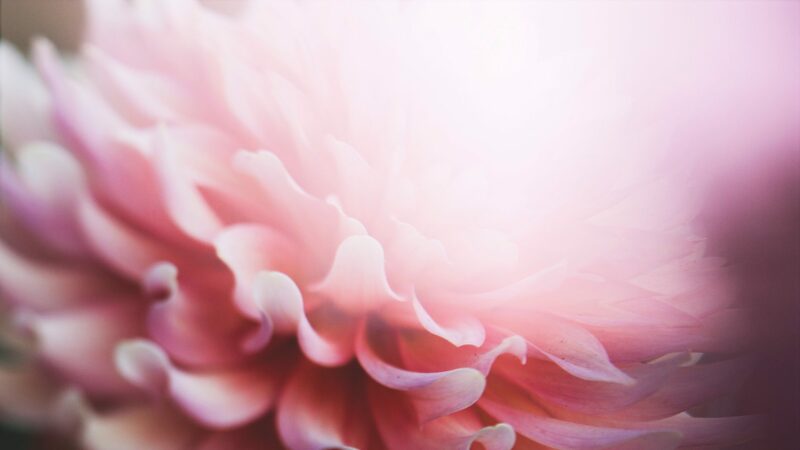 It is why it is very important that acts of kindness and generosity be shared and spread as much as possible, and as light workers, it is of great importance that you share your words of wisdom, your kindness, your generosity, freely and most expediently, to those who step forward and seek your kindness. I say, Dear One, that the energy of love is free, share it freely, share love freely. Know at this time that the ancestors that lived before you are standing with each of you and they are plotting your courage to remain on this Earth plane during these most difficult times. For you see, the frequency of the human condition is at a critical state. As you know, both during the Atlantean and during the Lemurian civilizations, there was held the great secret of what we call human existence. The secret that was held inside of each soul is now to be reactivated. I do not wish to confuse you, but inside of each of you is held the key of knowledge, the keys of knowledge and wisdom of peace, love, tranquility, and joy. The keys are at your fingertips. All of your ancestors are standing behind you and they are asking you to open the doorway to these beautiful energies of what we call the secret, the keys to the doorway, for peace and love to prevail within your own heart. It may seem difficult to comprehend how all of your ancestors, those that are part of your ancestral lineage, are working to assist you. But you see, Dearest Ones, the DNA in which your own physical body and physical matter was created from, from your ancestors, holds many secrets of your own life. Of who you are, in your personality, but also in your own spiritual evolvement. If there is unrest within the DNA as they say, there will be unrest within the personality and the physical body. If there is love and generosity, then there will be love and generosity within the soul of that being. If there is fear, discontent, anger, and sorrow, then that too will be emitted through your DNA. And so, today, we ask you to take the time to consider that the energy that you are holding through your ancestors can now be transmuted, and as you open the keys to the doorway, to bring balance and peace into your life, you can choose not only to change the frequency in which you were holding and carrying any discordant energy, but it will also affect your ancestors, this is of truth. When you make the decision today to change the frequency of that which you have been holding through your ancestral lineage, not only will it change your life, but you will be affecting all those that came before you. For you see, Dearest One, every soul has a choice to be at peace. Every soul has a choice to be in harmony. Every soul has a choice to live and love. And so, I ask you, Dear Ones, do you wish to open the secret, the doorway to your success, to your happiness, to your peace, to your tranquility? And so now as we step forward and we bring you this beautiful energy of harmony and peace and love, we ask you to open your heart to this remembrance of when you were sparked as the beautiful spirit that you are, sparked in the pure essence of your love, sparked in the pure essence of your peace, sparked in the pure essence of your joy. Truly, truly, you are love. And so, please take a deep inhaling breath, and breathe in the energy and the essence of light, the light that you are sparked from, the love that you are sparked from, the joy that you are sparked from, the peace that you are sparked from, breathe it in, breathe it in, breathe it in. Breathe in the Living Light of God, breathing in the essence of peace, and breathing in the essence of tranquility. And breathing in the essence of joy. And so, know at this time, that your heart is open to the love of all that is. Your heart has opened to the love of all that is. Open your heart to the love of all that is. And so, Dearest Children, as you stand in this frequency and you allow the Living Light of the God essence to infuse within your being, you shift and alter your own physical DNA so that your body can begin to respond to the pure love, to the pure peace, to the pure light in which you are holding into your essence. This will truly begin to shift your frequency and the excitement and the anticipation and the love that you are, and the joy, shall begin to emit through your being. Every day, it is of great significance that you give yourself what we call a love transfusion, infusing this powerful frequency of love into your body so richly, so profoundly, that you shall begin to feel at peace, sending peace and love into your body and allowing your own physical DNA to respond. For this is of grave importance, this is of grave importance that you give yourself these treatments of love, so that you may find peace within your system, and alter the frequency that has been infused and transmitted from your ancestral lineage. We are asking all souls at this time to take responsibility for their own happiness, their own peace, and to be the love in which they came to be. This is of grave importance, for you see, as we have told you before, there is indeed a timetable for this planet to return back to the planet of peace and love in which it was created. And so, Dear Ones, it is up to you to create the balance and harmony within your own system. Any discordant energy is no longer needed to be held within your system. Any discordant energy is no longer necessary to be held in your system. Please take responsibility and transmute this with love and peace and harmony and freedom, letting your beautiful light shine. And today, as I, the Blessed Mother, come to you, I place my hand over your heart, and I infuse you with compassion, so that you may hold compassion for yourself, and compassion for your ancestors and all those who have come before you, who have not understood that they are of the family of light. For yes, Dearest Ones, you are all a part of the family of light. And this powerful family is connected, and the unity and the unity consciousness is to be brought forward when each soul re-remembers how powerful they are, and how they were created in love and peace and balance and wholeness and Oneness. And so, Dear Brothers and Sisters, I will step aside and allow Mary Magdalene to speak. I’ve come today to bring the energy of compassion, love, and tender mercy to all. For it saddens my heart to see your planet and humanity suffer needlessly because they do not understand that they are all one. 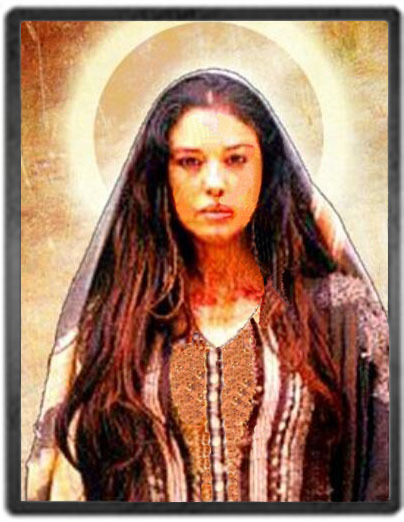 Dear Ones, yes, it is I, Mary Magdalene. As the Blessed Mother stands with me, we continue to hold vigil for you and this entire planet. It is of grave importance that as you take hold of this information and you begin to understand that no one person, no one is different than another. All are created in the same spark, and the respect and the return to civility is so needed upon your planet. As we’ve said many times before, each one teach one, each one lead one. And we are asking each of you who are listening and who are reading this message today to be the responsible soul who will make a difference in the world and bring peace through your presence upon this planet. It is indeed time that each of you begin to honor yourself, and to understand the importance of the energy and the frequency that you are holding and carrying in your vessel, in your physical vessel, the beautiful spirit that is housed in your beautiful vessel, it is powerful, it is that which brings your physical body to life. When the spirit leaves your body, there is no more life, yet your spirit is powerful and will continue to live on. It changes forms, and therefore, Dearest One, you never physically, or mentally, or energetically lose anything. The essence of you remains forever and ever. And so, Dearest Ones, be aware that your presence and your physicality and your spirit is alive, it is well, it is whole, and it is rich. What I mean by this, Dear One, is begin to embrace and to acknowledge the beauty and the power of you and your spirit, and as the mother has said, your ancestors, and the frequency they have held, and brought through your own DNA, is of great significance. You are able to access all energies, and what you choose to access is your choice. Do I choose to access love and peace? Do I choose to access harmony and joy? Every soul that steps into your life, every soul that comes across your pathway has been brought forward for purpose and good. And so, know at this time, that as you honor yourself, and you honor the beautiful essence of your spirit, you are allowing the God essence to shine through you. And so, Dear Ones, know at this time, the importance of living your life as the beautiful, free spirit that you are. We come as the Holy Family to bring these messages so the world will understand the power of who they are. And yet, we come in service for all, not just a select few. And those who accept our messages of love and open their heart to peace and unity will begin to allow their light to shine, and more and more of the frequency and the spark of God will be felt upon this Earth plane. More and more souls are choosing to understand the power of their beautiful spirit, what a beautiful time of awakening as the consciousness of humanity is awakening expediently, and yet, you may say, what about all that we see in the world that is not of the light? That too, Dear One, is all a part of God’s creation. It is simply choice. Each soul has free will choice. We are asking you to choose to consciously hold these frequencies, and to be the love and the light in which you were created, consciously choose each and every day to be the love and the light in which you were created. No man, woman, child, or sentient being can take from you the spark of your beautiful spirit. Don’t let another’s negativity or fear dampen you or cause you fear and sorrow. As you allow this to be affected into your own embodiment, it lowers your frequency and it is difficult for you to make your decisions and to base the frequencies that are now emitting from you. You see, Dearest Ones, do you choose to emit love and light and peace, or do you choose to hold fear and separation within your frequency? And so, Dearest Ones, hold the light, and hold the peace, and hold the love. Let go and let God, let go and let God, and allow your beautiful light to shine. And so, Dear Ones, can you feel or sense your ancestors standing behind you as Mother has said? They are there to help you, and as you shift your vibration, you are there to help them. It is hard to comprehend, the massive potential that you hold in the palm of your hands, as you shift your vibration for yourself, and how it affects all those around you, and those who came before you. Perhaps you’ve never thought of this before, but we bring this to your attention today. That you are more powerful than you realize, and you have great influence in how your energy is emitted on the Earth plane. And so, Dearest Ones, know at this time within your life your destiny is now held so closely to your consciousness and to what we call unity consciousness. When one enters into unity consciousness, there is no more fear, and there is no more separation. It is a frequency. And so, Dearest Ones, understand that you are bringing this frequency by raising your consciousness into this higher vibrational level. You are all literally being ascended or catapulted into unity consciousness as we speak, as if you are going up an elevator to another floor. You are all being lifted into unity consciousness, riding this frequency of unity and oneness. As you stay in this frequency, it is the elevation of energies that are being infused upon your planet as we speak. Last week, we spoke of the effect of the eclipses that are affecting all of you at this time. And now, you’re able to step forward into unity consciousness, as you are living in this frequency at all times. Yes, Dear Ones, you are multi-dimensional beings, and you are living this frequency, for purpose and good, for others to feel it, for others to sense it, for others to recognize it. You may understand, Dearest Children, that your frequency may not be compatible with another’s frequency, simply because your energy has shifted into a higher vibrational state, but it does not mean that you are all one, and you are all connected. You are simply operating from another frequency, and today, each of you are being shifted and elevated into a higher frequency. We call it riding the wave of unity consciousness and oneness. Many of you may be going through what we call ascension symptoms, where you are having difficulty concentrating, or you are feeling lightheadedness, or dizziness, or feeling off balance, perhaps even feeling sick to your stomach. It is because your own DNA and your own electro-magnetic system and your own light body is being shifted to unity consciousness. You are returning back to balance, to your original state. This is what is happening with the energies on this planet, you are returning back to the original state in which you were created. You have always been connected on some level, but we are saying now, it is to be on the conscious level. And there, Dearest Children, you are able to feel this energy emitting through you at all times. As if there is a pulsation of energy, of unity, and your heart is opening. Your high heart is opening to the love of your fellow brother and sister, and you feel the love and the compassion for your fellow man, as well as for yourself. This is a powerful day of unity consciousness, Dearest Children, and even though you may not fully understand what has taken place, this is what is happening with all the energy frequencies that are being emitted on the planet, it is why the powerful energies from the eclipse are overshadowing what we call the darkness, the darkness and the light are being exposed as they say in the same frequency. And so now, the aspect of your shadow side, the part of you that does not feel connected to the spark of oneness, can now begin to feel it, and it can shine and emit through you most beautifully, most powerfully. And so, Dearest Ones, please allow this to be the guiding light for the rest of your incarnation. You are the spark of light in which you were created originally, from the Great Creator, and your ancestors, too, were created from the spark of light from the Great Creator. And you see, as you make this shift into unity consciousness, you are helping all of your ancestors to shift into this as well, we are all one. Even those who have crossed over before you, your family, you are all one. And this is how peace will prevail, the energy will be shifted one soul at a time. Every soul opens their heart to the peace that they are, one soul at a time. One light at a time. One essence at a time. And so, Dearest Children, as you stand in this great land of the United States of America, and as each of you stand in this energy of what we call Lady Liberty, in your America, know that you’ve been given this great gift here in your country to be the models and to lead the way. And so, today, this frequency is being emitted in your United States of America as it will be emitted throughout the globe. But today, this powerful frequency is emitted into the ley lines and the grid lines here in your United States of America, and so it will be transmitted throughout the globe, but it is being emitted here, from the Statue of Liberty, there on Ellis island, where all of the ancestors came and now this frequency can be emitted for all to receive. What a powerful, powerful day as you return back to unity consciousness and you feel the freedom again, living as beautiful spirits of life. Go now, my children, and understand the power of who you are, as living light beings, who are standing in their powerful frequency of love, united as one. And now, Dearest Children, please go in peace. Be still, be still, be still, and know that you are the powerful beings of love and light that you were originally created from. And as you hold this frequency for the world to see, be proud, and know that we are all connected, and indeed, we are all one. Amen, Amen, Amen as we are all joined as one uniting in love, peace, light and love for all creation, whether we are aware of this energy or not. Thank you for these very uplifting messages. They are very enlightening and truly illuminate the darkness upon our beloved earth and all creation.